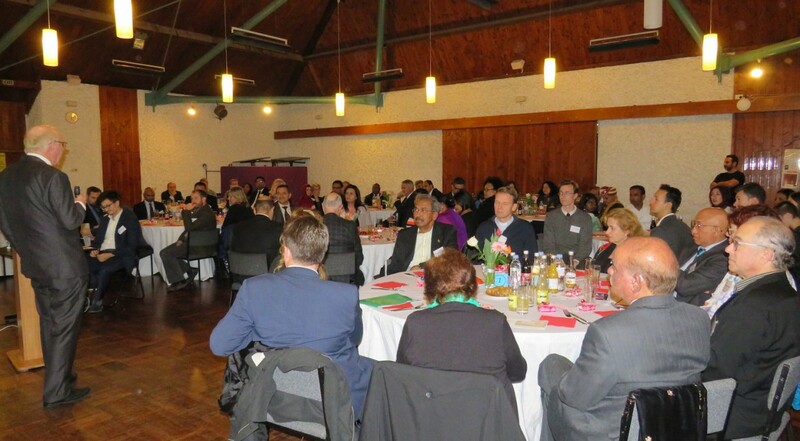 Wellington Ramadan Iftar dinner 2018 – Pearl Of The Islands Foundation Inc.
Over 80 honourable guests packed the Wellington Cathedral of St Paul for a Ramadan Iftar dinner hosted and organised by the Pearl of the Islands Foundation (PIF). The function, held in late May, is one of the many Ramadan Iftar dinners PIF hosts over the holy month of Ramadan in an effort to connect with people from diverse backgrounds and break bread together. Members of Parliament, Ambassadors and Consular corps, media, academia, government, non-government representatives, religious and community leaders, and many friends of the Pearl of the Islands Foundation were present. Jack Wood, PIF Advisory Board Member, and Dr Pushpa Wood, Director of the Financial Education and Research Centre at Massey University, were the Masters of Ceremony for the night. Ramadan Iftar Dinners are an opportunity to gather together to not only share a meal, but more importantly to share a message of harmony. The call to prayer was announced following the opening speech which left the hall in complete silence. Soon after, guests were directed to the buffet stations to choose from a wide selection of Turkish and International dishes. Talented musician Rebecca Warnes, New Zealand School of Music Honours programme, played the cello for 40 minutes throughout dinner. MP Michael Wood, Parliamentary Under-Secretary to the Minister for Ethnic Affairs, took the stage to thank the organisers for bringing together so many people to the same table. Mr Wood spoke highly of how Muslims embrace generosity and invite with neighbours, friends, family and their surrounding communities to these Ramadan Iftar dinners. Indeed, Pearl of the Islands encourages a culture of collectivism, as members work first and foremost for the community. MP Kanwaljit Bakshi delivered the Vote of Thanks with a similar message. Mr Bakshi has long been involved with PIF activities and thanked the organisation for the work it carries out. 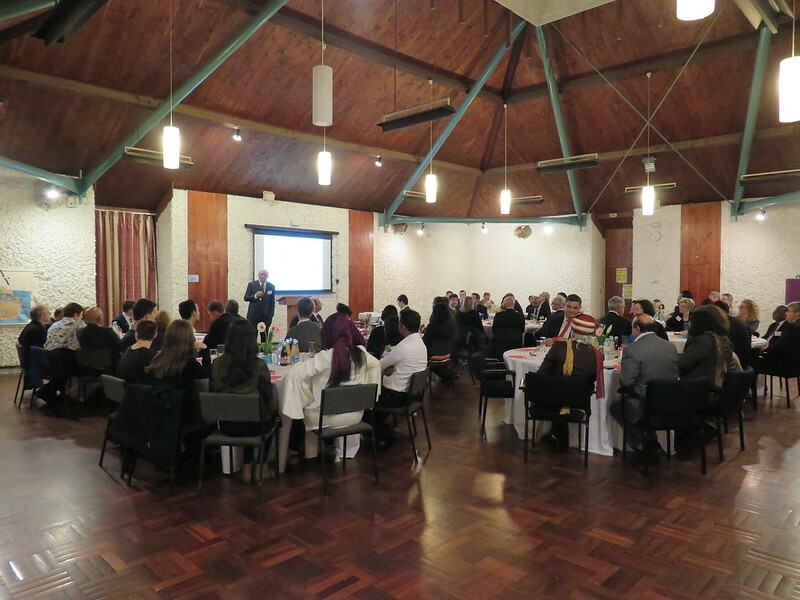 The Iftar dinner also welcomed representatives from Wellington Interfaith Youth. Mathusha Paraneetharan, Hutt Valley High School student and Tamil Hindu youth, provided a thought-provoking speech to the audience, “To further develop unity, we can gather shared values from each faith and corresponding aspects of cultures such as peace, love and family and unite as one. Mathusha spoke on the state of intercultural dialogue in New Zealand, improvements needed to foster harmony and peace, and the need to incorporate youngsters in discussions about interfaith dialogue and development. Quran verses from Surah Maryam were recited to the audience reflecting the importance of Jesus in Islam. Floor Reflections followed soon after. This is an opportunity that allows guests to share their views on the night. The Reverend Ivica Gregurec, Cathedral Precentor at the Holy Trinity Cathedral, Rakesh Naidoo, Strategic Advisor Race Relations from the NZ Human Rights Commission, and PIF Advisory Board member Naomi Johnson all spoke highly of what these Iftar dinners accomplish and that events which bring various cultural and religious groups together in New Zealand should continue.